The Site’s commerce transactions and related customer support activities are conducted by our selected vendor GWS. GWS will be the merchant of record for such commerce transactions. By registering to use the Site, you acknowledge and agree that we may disclose your Site registration information (which may include Personally Identifiable Information) to GWS in order to enable GWS to use such registration information to pre-populate registration and login forms for your convenience when you seek to register, require customer service and/or complete transactions. If you do not wish us to disclose your registration information for this purpose, please do not register to use the Site. By using the Site, you agree to the terms and conditions of this Policy. If you do not agree to the terms and conditions of this Policy, please do not use the Site. We reserve the right to change this Policy without prior notice. You can determine when this Policy was last revised by referring to the "LAST UPDATED" legend at the top of this page. Any changes to our Policy will become effective upon our posting of the revised Policy on the Site. Use of the Site following such changes constitutes your acceptance of the revised Policy then in effect. The Site is controlled and operated by Company from the United States; accordingly, this Policy, and our collection, use and disclosure of your Personally Identifiable Information, is governed by U.S. law, and not by the laws of any country, territory or jurisdiction other than that of the United States. Company does not represent or warrant that the Site, or any part thereof, is appropriate or available for use in any particular jurisdiction. Those who choose to access the Site do so on their own initiative and at their own risk, and are responsible for complying with all local laws, rules and regulations. You are also subject to United States export controls in connection with your use of the Site and/or Site-related services, and are responsible for any violations of such controls, including without limitation any United States embargoes or other federal rules and regulations restricting exports. We may limit the Site's availability, in whole or in part, to any person, geographic area or jurisdiction we choose, at any time and in our sole discretion. By using the Site and submitting any Personally Identifiable Information, visitors from outside of the United States acknowledge that the Site is subject to United States law and consent to the transfer of Personally Identifiable Information to the United States, which may provide a different level of data security than in their country of residence, and waive any claims that may arise under their own national laws. Note Regarding the Use of the Site by Children: The Site is not directed to individuals under the age of thirteen (13), and we request that such individuals do not provide Personally Identifiable Information through the Site. 1. What Types of Information Does Company Collect From Me? Company gathers two basic types of information through the Site: "Personally Identifiable Information" (or "PII") and "Non-Personally Identifiable Information" (or "Non-PII"). Personally Identifiable Information is information that identifies you as an individual; that is, your name, postal address, telephone number, e-mail address, credit card number or other payment account number. Non-Personally Identifiable Information is aggregated information, demographic information, IP addresses and any other information that does not reveal your specific identity. a.Personally Identifiable Information. You do not have to provide PII to use the Site. However, in order for you to take advantage of particular opportunities provided through the Site (for example, to sign up for a newsletter or to view certain areas of the Site), we may require that you furnish PII. We collect PII from you through the Site only when you voluntarily provide it to us. b.	Non-Personally Identifiable Information. When you visit and interact with the Site, Company and third parties with whom Company has contracted to provide services to Company may collect Non-PII (for example, a catalog of the Site pages you visit). Non-PII is generally collected through the Site from five different sources: server log files, environmental variables, cookies, pixel tags and other similar technologies and information that you voluntarily provide. i.	Server Log Files. Your Internet Protocol (IP) address is a number that is automatically assigned to the computer that you are using by your Internet Service Provider (ISP). This number is identified and logged automatically in our server log files whenever you visit the Site, along with the time(s) of your visit(s) and the page(s) that you visited. We use your IP address, and the IP addresses of all users, for purposes such as calculating Site usage levels, helping diagnose problems with the Site's servers, and administering the Site. Collecting IP addresses is standard practice on the Internet and is done automatically by many web sites. ii. Environmental Variables. We and our service providers may also collect certain environmental variables, such as your MAC address, computer type (Windows or Macintosh), screen resolution, OS version, Internet browser, and Internet browser version. These environmental variables are collected by most browsers, and can be used to optimize your experience on the Site. iv. Pixel Tags. We and our service providers may also use so-called "pixel tags," "web beacons," "clear GIFs" or similar means (collectively, "Pixel Tags") in connection with some Site pages and HTML-formatted e-mail messages to, among other things, compile aggregate statistics about Site usage and response rates. A Pixel Tag is an electronic image, often a single pixel (1x1), that is ordinarily not visible to Site visitors and may be associated with Cookies on the visitors’ hard drives. Pixel Tags allow us to count users who have visited certain pages of the Site, to deliver branded services, and to help determine the effectiveness of promotional or advertising campaigns. When used in HTML-formatted e-mail messages, Pixel Tags can tell the sender whether and when the e-mail has been opened. v.	Information That You Voluntarily Provide. Company also collects Non-PII (e.g., your interests, your geographic location, etc.) when you voluntarily provide such information to us. When such information is not combined with any PII, such information is considered to be Non-PII, as it does not personally identify you or any other user. Additionally, we may aggregate PII in a manner such that the end-product does not personally identify you or any other user of the Site, for example, by using PII to calculate the percentage of our users who like a particular artist. Such aggregate information is considered Non-PII for purposes of this Policy. 2. How Does Company Use Information Collected From Me? i.	Fulfillment of Requests. Company may use PII about you to fulfill the purpose for which such PII was provided (e.g., to send newsletters to you or fulfill your purchase). ii. Administrative Communications. From time to time, in our sole discretion, we may use PII about you to send to you important information regarding the Site, or changes to our terms, conditions, and policies. Because this information may be important to your use of the Site, you may not opt-out of receiving such communications. iii. Other Communications. If you affirmatively opt-in to receive marketing messages from Company and the Affiliated Entities, Company and the Affiliated Entities may use PII about you to inform you of any artists, products, programs, services and promotions that we believe may be of interest to you. If you would prefer not to receive marketing-related e-mail messages, please refer to Section 3.f (“Opt-Out”) below. iv. Third Party Communications. If you affirmatively opt-in to Company sharing PII about you with third parties for their marketing purposes, we may share PII about you with third parties to allow them to contact you regarding products, programs, services and promotions that they believe may be of interest to you. If you would like to later opt-out of receiving marketing-related e-mail messages from such third parties, please utilize any opt-out mechanisms set forth in such third parties’ marketing-related e-mail messages and/or privacy policies. v.	Disclosures to Artists. 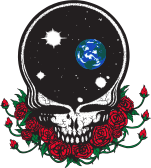 One of the reasons we operate the Site is to provide you with news and information about Grateful Dead Productions and our artists. As such, if you affirmatively opt-in to Company sharing PII about you with our artists, we may share PII about you with such artists (for the purpose of clarification, if any such artist is a band, we may share PII with each and every member of such band) and their representatives (collectively, “Artist(s)”) so that such Artists have information on users of the Site, and such Artists may use this information to contact you regarding products, programs, services and promotions that such Artists believe may be of interest to you. Although we seek to have Artists agree to abide by this Policy, we do not control, and are not responsible for, Artists’ use of PII about you. If you would prefer not to receive marketing-related e-mail messages from Artist(s), please see the "Opt-Out" section below. Notwithstanding the foregoing, if purchasing functionality is offered on the Site and you seek to make a purchase through the Site, we may collect your credit card number or other payment account number (for example, your wireless account number), billing address and other information related to such purchase (collectively, “Payment Information”) from you, and may use such Payment Information in order to fulfill your purchase. If applicable, we may also provide such Payment Information, or other PII provided by you, to third parties as necessary to complete your purchase (for example, to process your credit card or payment account number). To the extent that Payment Information includes Non-PII, use of such Non-PII is governed by Section 2.b below. vii. E-mails to Friends. We may provide functionality to permit you to send messages regarding Site-related content (such as music clips or artist information) to a friend through the Site. If you wish to use this feature, you may provide us with your friend’s e-mail address so that we can facilitate your sending of such message to your friend. To do so, any PII you provide in connection with sending your friend such message, such as your name and your e-mail address, will, of course, be disclosed to your friend. viii. Promotions; Surveys. Company, Artist(s) or the Affiliated Entities may operate sweepstakes, contests and other promotions (collectively, "Promotions") through the Site. In addition, we, Artist(s) or the Affiliated Entities may conduct surveys or polls through the Site or ask for your responses to questionnaires that we make available through the Site (such surveys, polls and questionnaires, collectively, “Surveys”). We typically ask you for certain PII when you enter and, if applicable, win a Promotion, and when you participate in a Survey. We reserve the right to share PII that we collect in connection with Promotions and Surveys with third-party sponsors or facilitators of such Promotions and Surveys (irrespective of whether such Promotions and Surveys are hosted by us), or otherwise in accordance with the rules applicable to a Promotion or Survey. You should carefully review the rules, if any, of each Promotion and Survey in which you participate through the Site, as they may contain additional important information about Company's, a sponsor's or other third parties’ use of PII about you. To the extent that the terms and conditions of such rules concerning the treatment of PII about you conflict with this Policy, the terms and conditions of such rules shall control. ix. Internal Business Purposes. We may also use PII about you for our internal business purposes, such as data analysis, audits and so forth. x. Third Party Service Providers. We work with third parties, including without limitation our selected payment vendor GWS (and, in some cases, our Affiliated Entities), who provide services including but not limited to data analysis and collection, hosting, order fulfillment and other services of an administrative nature. For example, GWS may complete all commerce transactions via the Site. We reserve the right to share PII about you with such third parties for the purpose of enabling these third parties to provide such services (for example, if you choose to buy wireless products or services from us, we may share PII about you with your wireless carrier and our third party service providers so that such products and/or services can be delivered to you and/or your mobile device). xi. Assignment. We reserve the right to transfer any and all information that we collect from Site users to an Affiliated Entity or a third party in the event of any reorganization, merger, sale, joint venture, assignment, transfer or other disposition of all or any portion of Company's business, assets or stock (including without limitation in connection with any bankruptcy or similar proceedings). Additionally, please note that if any Artist is no longer affiliated with Company, we may transfer or provide a copy of any and all information that we collect from Site users to such Artist. xii. Law enforcement; emergencies; compliance. Notwithstanding any other provision of this Policy to the contrary, we reserve the right to disclose PII about you to others as we believe to be appropriate (a) under applicable law; (b) to comply with legal process (c) to respond to governmental requests; (d) to enforce our terms and conditions; (e) to protect our operations or those of any Affiliated Entities or our artists; (f) to protect the rights, privacy, safety or property of Company, the Affiliated Entities, our artists, you or others; and (g) to permit us to pursue available remedies or limit the damages that we may sustain. For example, we may, to the fullest extent the law allows, disclose PII about you to law enforcement agencies to assist them in identifying individuals who have been or may be engaged in unlawful activities. b.	Non-Personally Identifiable Information. Because Non-PII does not personally identify you, we may use such information for any purpose. In addition, we reserve the right to share such Non PII, which does not personally identify you, with Affiliated Entities and other third parties, for any purpose. In some instances, we may combine Non-PII with PII (such as combining your name with your geographic location). If we do combine any Non-PII with PII, the combined information will be treated by us as PII hereunder as long as it is so combined (see Section 2.a above). 3. Other Important Notices Regarding Our Privacy Practices. a.	Profiles. We may provide functionality on the Site that allows you to create a “profile page” (your “Profile”) and post certain information and materials on your Profile. Please note that your Profile, including all PII available in your Profile, may be accessible to other users. We urge you to exercise discretion and caution when deciding to disclose PII about you, or any other information, in your Profile. WE ARE NOT RESPONSIBLE FOR THE USE BY OTHERS OF ANY PII THAT YOU DISCLOSE IN YOUR PROFILE. d.	Third Party Advertisers. We may use third-party advertising companies to serve ads when you visit our Site. Please note that these companies may use information (not including your name, address, email address or telephone number) about your visit to this Site in order to provide advertisements about goods and services that may be of interest to you. In the course of serving advertisements to this Site, these companies may place or recognize a unique cookie on your browser. If you would like more information about this practice and to know your choices about not having this information used by these companies, please visit http://www.doubleclick.net/us/corporate/privacy or http://networkadvertising.org/optout_nonppii.asp. e.	Security. We use reasonable organizational, technical and administrative measures to protect PII under our control. Security measures and tools, such as firewalls, are in place to help protect against the loss, misuse and alteration of the information under our control. Unfortunately, no data transmission over the Internet or data storage system can be guaranteed to be 100% secure. As a result, although we strive to protect PII about you, we cannot ensure or warrant the security of any information you transmit to us through or in connection with the Site or that is stored by us. We also seek to strike a balance between the security of your data and your convenience. We do this because we believe that our customers attach value to both. As a result, we will often use a method of communication that is less secure than other, less convenient alternatives. For example, certain data you send us, including PII, may be sent to us in unencrypted form. You acknowledge and agree that any information you transmit through the Site is so transmitted at your own risk. If you are concerned that PII about you may be transmitted over the Internet in unencrypted form, please do not provide us with any PII. If you have reason to believe that your interaction with us is no longer secure (for example, if you feel that the security of any account you might have with us has been compromised), you must immediately notify us of the problem by contacting us in accordance with Section 3.g ("Contacting Us,") below (note that if you choose to notify us via physical mail, this will delay the time it takes for us to respond to the problem). f.	Opt-Out. If you would prefer not to receive marketing-related e-mail messages from Company or any particular Affiliated Entity, you may opt-out of receiving such messages by following the “unsubscribe” instructions in the latest such message you have received from Company or such Affiliated Entity, respectively. Please note that following such “unsubscribe” instructions will opt you out of receiving marketing-related e-mail messages from the sender of the particular message from which you initiated the opt-out process, but will not opt you out of receiving such messages from other senders (including, as applicable, Company, Artist(s) or other Affiliated Entities). Additionally, if you would like to opt-out of receiving marketing-related e-mail messages from Artist(s) or other third parties with whom we have shared PII about you hereunder, please utilize any opt-out mechanisms set forth in such third parties’ or Artist(s) marketing-related e-mail messages and/or privacy policies, if any.